DIE BUCHPATEN (English: THE BOOK-GODPARENTS) have made it their mission to support and encourage socially underprivileged children. We distribute picture books in Switzerland and Germany to children from socially underprivileged families and refugee families’ children. Our main activity is to organise and hold participation readings where we read stories, draw pictures and play with children – and hopefully their parents, too! We support the literacy of the children through dialogic reading in participation readings. And because the parents are also present, they take the experience home and keep supporting their children’s development. • give the children and their parents the possibility to include themselves in society. Who Are Our Offers Aimed At? DIE BUCHPATEN hold their participation readings everywhere where we can reach children and their parents: kindergarten, primary schools, community centres etc. But also companies and other groups of people are welcome to book a reading. We are interested in a sustainable cooperation. The more regularly DIE BUCHPATEN can visit the children, the more successful our support of their literacy becomes. Would you like to find out more? Then click here. We are dependant on gracious donations in order to hold our participation readings. The smallest of sums help! Would you like to actively participate as a storyteller or engage otherwise? We would be glad to hear from you by phone +41 76 329 55 58 oder via E-Mail! 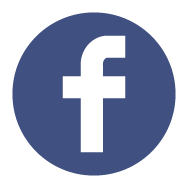 Like us on Facebook, so your friends can also stay up to date on what we do!